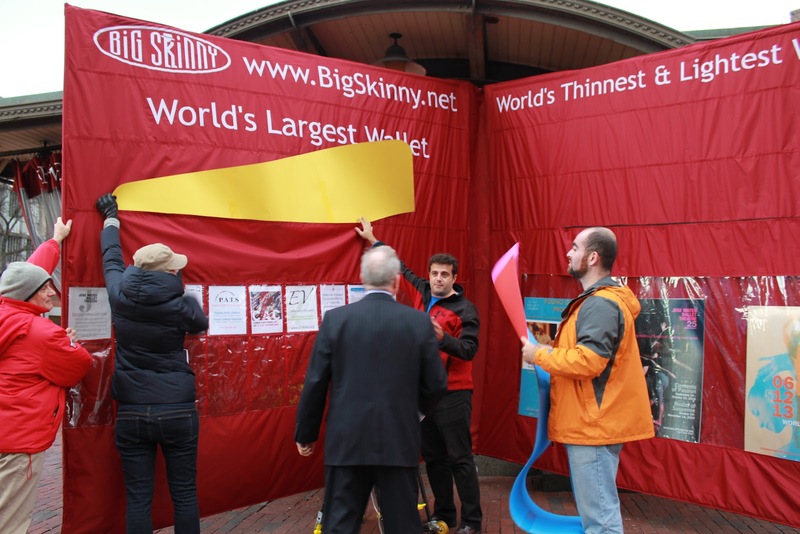 The World’s Largest Wallet, measuring 10-feet high and 21-feet wide, set a Guinness World Record in December 2010 in Harvard Square, Mass. That one line in his passionate and heart-filled prayer has been swimming around in my brain ever since and is changing the way I view God. It’s not like the fact of God’s big wallet is new, no, I’ve heard my whole life, “God owns the cattle on a thousand hills,” and the like. But this was different. It placed in my head an entirely different mental picture to ponder. When Dave prayed that, it was as if I could see God up on His throne reaching in His back pocket and pulling out this ginormous, fat wallet and then distributing it to us, His kids, almost like an allowance. Except, an allowance (in today’s society) is supposed to be based on doing your chores. When the dishes are done, the room is sparkling and trash is no longer decomposing and contaminating the trashcan, then the kids are given their allowance (at least that’s how it was for me, although my parent’s called it “commission”). 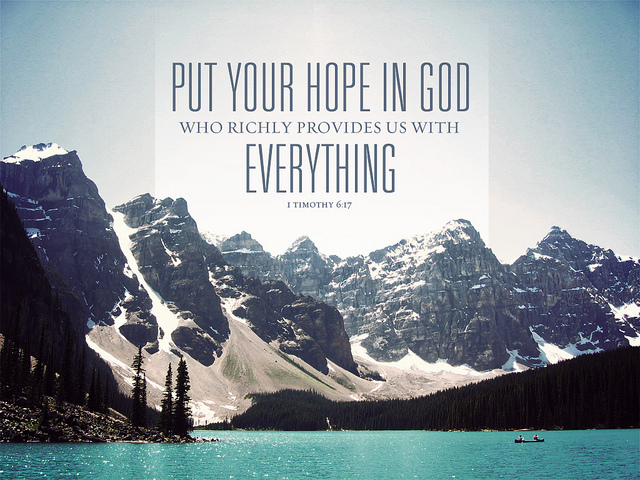 But God (the two best words in the entire world) doesn’t base His provision off our performance. God gives to us because His Son has already given the highest performance by sacrificing Himself on the cross and swallowing our curse. He provides for us out of His grace, not because we did our chores this week. 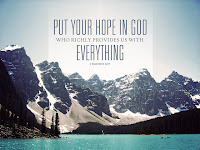 Sometimes God doesn’t provide like we want Him to or think He should, but the Bible promises that He will provide everything we need (Philippians 4:19). If we don’t have it today, we don’t need it today. And now I have a different picture of God providing for us in my head. Here we are, His grubby little kids approaching His throne asking for a house or roof, or car or paycheck, and God reaches around and finds the pocket in His big flowing white robe, pulls out His God-sized wallet and doles out the provision as He sees fit. God is our Father and He loves us more than our earthly fathers ever could. I encourage you to read Matthew 6:25-34 and seek Him not only as Father, but first among anything or anyone else. Previous Post Previous post: Why praise the Lord?